MMIG46 Malibu Mirage - Constitution - The Constitution of MMIG46 e.V. The Constitution of MMIG46 e.V. This is not an approved and legally binding translation of the constitution of the club MMIG46 e.V. The club was named MMIG46. The club has its seat in Essen, Germany. The club's financial year is the calendar year. 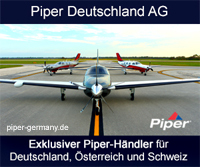 The club is a union of owners, pilots, friends and sponsors of the airplane model Piper PA46 Malibu/Mirage. The main objectives are the operation, the stability of value and the maintenance of the airplane model Piper PA46 Malibu/Mirage. The club members will encourage the understanding for the PA46 as an exemplarily realization of a technical idea. Further objectives will be in the field of air traffic in general, providing trainings for flying and security, increasing the air safety in general, and flying intentionally for the purpose of less energy consumption as well as to support newcomers and the preservation of sportive, tourism and social interests. Supporting the restoration in meaning of maintaining the value of the aircrafts. If possible, to supply special tools, aid and instructions. The club is selfless within its purpose and tasks, and does not pursue commercial purposes in first order. Resources of the club are only used according to the rules of the club. The members will not receive any contributions from the funds of the club. It is not allowed to favour any person with expenses of excessively payments, which are against the purpose and tasks of the club. Every owner or pilot of the PA46 may become a full member. Further on any natural person may apply for membership, who is interested in aviation or in airplane techniques or has special interests in the airplane PA46. Also welcome are all other pilots from high performance aircrafts like the C 210 or Mooney or future Malibu/Mirage-pilots. Companies and institutions may achieve membership as a sponsoring member if they had or will support the operating of the PA46. The general membership meeting has the right to elect personalities as honorary members, who earned special credits to the airplane PA46. Honorary members have the same status like associate members, having all rights like full members, but will not pay the dues. An application for membership has to be addressed in writing with the appropriate form to the board. For members with limited competence, especially minors, the application form has to be signed by the legal representatives. Those are obliged to pay the dues for the member with limited competence. By signing the membership application, the applicant accepts the clubs constitution and refuses expressly not to suit the board, general assembly and organizers for their actions and decisions. The member is committed to support the tasks and purposes of the club actively and to take part in club activities lively. The board decides in its own discretion about the membership application. In the event of a tie the application is denied. The board is not obliged to tell the applicant the reasons of the rejection. After the applicant gets his membership, he has to pay the application fee and the club dues. The members are committed to operate the aircraft with professionalism. The club's responsibility is to advise its members in operating the aircraft and in the case of doubt the board has to provide recommendations. The member has to provide reasonable sources of supply for spare parts etc. to the club. Additionally he will offer his experience and tips to the club for free. The club charges dues to fulfil all necessary tasks of the club. Full members: € 500 p.a. Associated members: € 250 p.a. Sponsoring members: € 2.500 p.a. If joining the club after 6/30 of a calendar year, the club dues will amount to half of the annual fee. In 2001 the general assembly will decide on the annual fee for the year 2002 and in accordance to this rule the annual fee will be fixed by the general membership meeting of the day for the upcoming years in line with actual requirements. The annual fee has to be paid until 2/15 of the actual year. The member is only legally liable for the club's obligations in the amount of his annual fee. a) Every member can announce his resignation to the end of a calendar year by a certified letter. The resignation has to reach the board until 9/30 of the calendar year. b) When the membership has ended all rights and claims to the club, its assets or its facilities are expired. An ordinary or extraordinary general membership meeting can terminate a membership by voting with a 2/3 majority of the attending members, if the member had done serious violations against the club's tasks and purposes, its constitution or was acting with unfriendly behaviour. The membership also will be terminated if the member has not paid his dues for more than 3 months; also he got a reminder by a certified letter with a recorded delivery slip. The member has to be informed of the suspension by a certified letter, addressed to his latest valid residence and is in effect with the decision. The club's claims will not end with the termination of the membership. Otherwise the regulations of §10, section 1b will apply. The general membership meeting is the club's highest instrument. The regular general membership meeting normally takes place every May each calendar year and has to be called by the Speaker of the club or by publication through the internet at the club's home page at least four weeks prior to the event. All attending full members and honorary members are entitled to vote with one voice. The general membership meeting is run by the Speaker of the club. In the event of the election of a new Speaker, the present Speaker hands over the running of the general membership meeting to his successor. The results of the general membership meeting have to be taken down in the minutes and have to be published in the club's internet pages. The minutes have to be signed by two board members. Every member is entitled to propose motions. All motions have to reach the board at least eight days ahead of the general membership meeting. The board decides with its majority about late motions, which have to be presented to the board, latest before the general membership meeting. Pass resolutions about all presented proposals. An extraordinary general membership meeting can be called with all the details of the topics by the board, the speaker of the club or if at least 2/5 of the members have made a written request addressed to the seat of the club. The speaker of the club has to invite the members in writing with specifying the agenda at least 14 days prior to the extraordinary general membership meeting. The results of the extraordinary general membership meeting have to be taken down in the minutes and have to be presented to the members. The minutes have to be signed by two board members. Voting on requests is normally made by acclamation. Elections always will take place with voting by acclamation. Only in unanimity the general membership meeting may decide to run a vote by secret ballot. Every general membership meeting always has a quorum with no consideration of the number of the attending members. Normally the simple majority decides. A simple majority means a majority, which has at least just one vote more than the half of the casting votes. Abstaining votes are not treated like casting votes, as well as invalid casting votes and - by voting with ballot papers - empty ballot papers. A tied vote means a rejection. c) Disbanding of the club. The regulations of this section are in force for all ballots, except another way is expressly laid down. Absentee ballots and authorization for voting are not intended. Only full members may be elected as board members. The board may consist of at least four members. More members may be elected as committee members. Every board member is obliged to perform his duties with the necessary commitment and time. The Speaker, the Deputy and the Treasurer may represent the club in external relations as individuals. In interior relations it is necessary that the Speaker's Deputy may only represent the club in the Speaker's absence, while the Treasurer may only represent the club together with the fourth board member in the Speaker's and the Deputy's absence. The board decides in any event, which is not subject to a resolution by the general membership meeting. The board is responsible for the business operation of the club. The board members are elected by the general membership meeting for a period of three years. Unlimited re-elections may be possible. The period of office counts from the general membership meeting on to the next corresponding general membership meeting. The dismissal of the board or an individual board member may only take place on the request of more than 2/3 of the members. At the general membership meeting the vote of no confidence has to be made with a majority of 2/3 of the casting votes. In addition, the Speaker of the club or any other board member may resign at any time. The duties of the resigned board members may be taken over by the remaining board members until the next board election will take place. An early re-election may take place if at least 2/3 of the members of an extraordinary general membership meeting apply for it, or if the general membership meeting will not approve the board resp. an individual board member or if the majority of the board calls for it or if the board resigns. The board may issue standing orders. The board has a quorum, if at least three board members appear. Resolutions are passed with a single majority. In the event of a tie, the vote of the Speaker decides. Among the members two auditors may be elected by the annual general membership meeting. The period of the auditors is two years. They may not hold any office in the board. Member resp. participants, assistants, organizers, guests, family members may attend the club events at own risk. They are responsible for all caused damages of the used aircrafts in reference to civil or criminal law. Pilots have to be either owner or holder of the aircraft used at the event or have to express that they take over the sole legal liability for any possible claims of the owner or holder. They have to exempt the club and promoter from such claims of damages irrevocably. It is not the club's or promoter's responsibility to check, whether a pilot is authorized to use the aircraft at any event. The club reserves the right to change any event or even cancel any event, due to acts of God or of security reasons or if ordered by authorities or by the responsible person for the prevailing flying route or any other necessary required alterations. The club is not responsible for any claims resulting from events being cancelled nor for any spending if time and place of events have altered. The club is not liable for the correctness of technical evaluations, recommendations for maintenance or any other advice and evaluation in order to maintain and operate the aircraft. As far as this is not expressed separately, all such evaluations and recommendations are independent opinions in the meaning of freedom of the press. Requests for alteration of the constitution cannot be placed as late motions. These motions have to be checked ahead by the board before presenting to the general membership meeting. The general membership meeting decides with a 2/3 majority of the casting votes of the attending members. The disbanding of the club may only be decided at an extraordinary general membership meeting which was called only for this reason or at an annual general membership meeting. The disbanding motion needs a 2/3 majority of the attending members. If the extraordinary general membership meeting has no quorum, according to the constitution, the next called general membership meeting will have a quorum in any case, and the single majority will decide. This extraordinary general membership meeting (to disband the club) appoints with a 2/3 majority of the attending members the liquidator. The remaining resources at the time of the club's disbanding after repayment of all obligations may be transferred to a recognized public unity in the traffic/motor vehicle business. For regulations not covered in this constitution the general legislation (national law) applies. Location of fulfilment and court of jurisdiction for all duties and rights resulting from this constitution, as well as all claims and obligations of the club is the city of Essen, Germany.